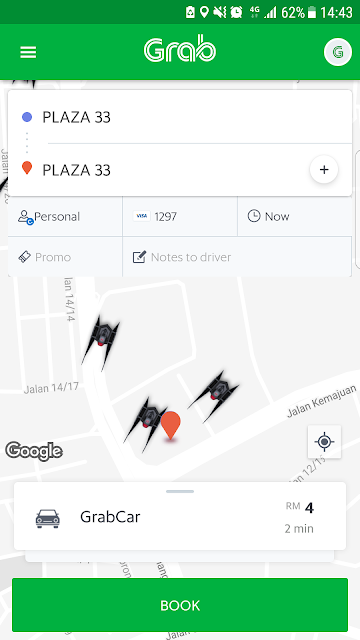 Last week marks the start of an exciting battle between The Resistance and The First Order, as users of Grab across Malaysia, Singapore, Philippines, Thailand and Vietnam are offered the opportunity to opt-in and pick the side that they will fight for. Users who opt-in will see their app reskin to their chosen side for 5 weeks, where the Grab vehicle icon in-app will transform into Star Wars vehicles! Grab is collaborating with The Walt Disney Company Southeast Asia on Star Wars: The Last Jedi, and the campaign hopes to bring about a priceless, immersive and rewarding experience for all Grab users. For every ride they take with Grab, they will move one step closer to redeeming exclusive Star Wars: The Last Jedi premiums, tickets to the private movie screening of Star Wars: The Last Jedi and ultimately, the grand prize of an all-inclusive trip for 2 to the world’s largest privately-owned Star Wars memorabilia museum, Rancho Obi-Wan in San Francisco, California, USA. There will also be weekly battle challenges between The Resistance and The First Order, where only the winning side will unlock special prizes such as a Sphero Droid and Lego Set. Photo opportunities abound as Grab’s vehicles in The Resistance and First Order car wraps will also hit the streets. The campaign runs from 14 November until mid-December, where all activities will culminate in a final battle event for everyone to pit against one another on-site and conquer fun Star Wars themed challenges. More details of the event will be announced at a later date. ARE YOU READY TO MASTER YOUR FORCE WITH GRAB?